1. How is community playing role in religious education across various context? 2. 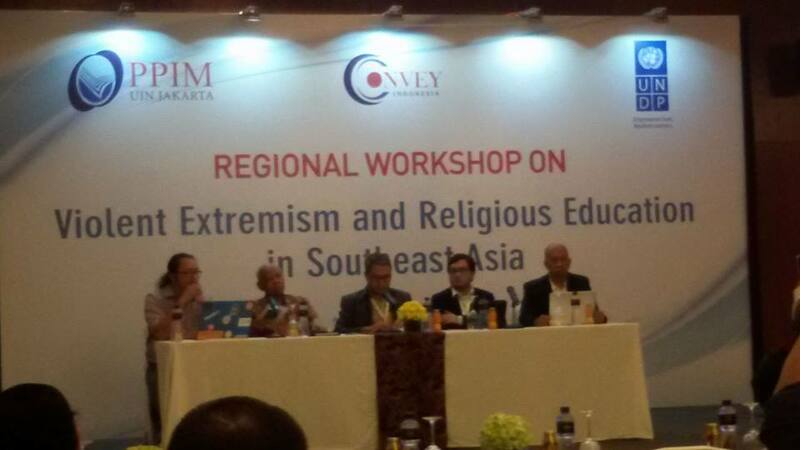 How can community play bigger role in shaping religious education to prevent [and counter] violent extremism? 1. How important is religious literacy in our current context? 2. How can religious education increase religious literacy? 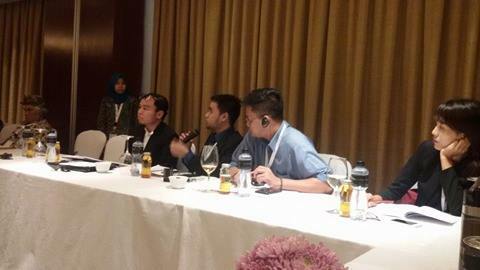 Question to the 3rd Speaker: Considering your proximity to Marawi City in more accurately analyzing the conditions on the ground as well as the ‘recapture’ of the city by the government troops and the deaths of Isnilon [Hapilon] and Omarkhayam [Maute], the top two leaders of the group/s that occupied Marawi on May 23, do you think we cannot expect another Marawi in the near and medium-term future? Why? 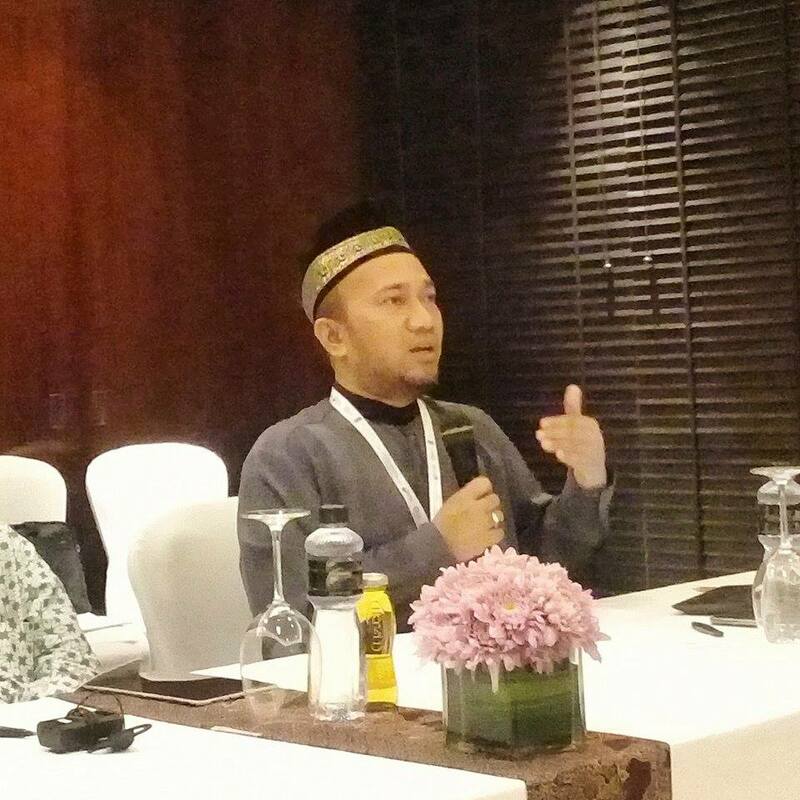 Question to the 4th Speaker: You have made mention of the ARMM Darul Ifta’s religious edict (fatwa) against terrorism – a courageous move which is really worthy of appreciation. But I’m just curious: Since the ‘fatwa’ was originally written and issued in Arabic language, which the overwhelming majority of the youth in the ARMM cannot understand, is it already translated into languages and vernaculars of the common people – Filipino (Tagalog), Visaya (Cebuano), M’ranao, Tausug, Maguindanaon and others? 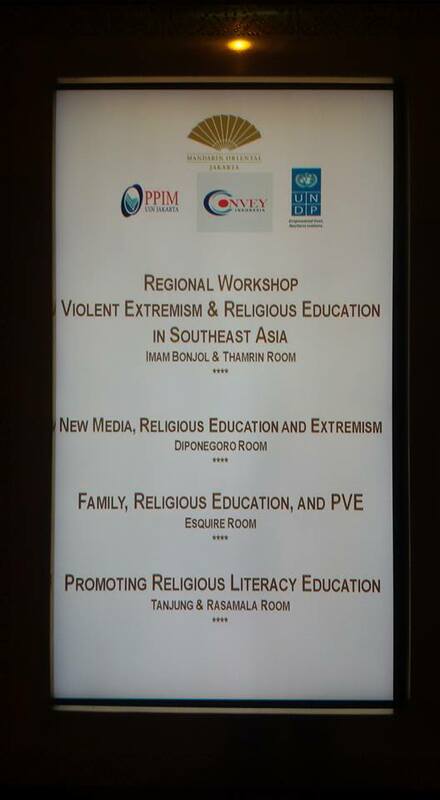 The first plenary session of the Regional Workshop on Violent Extremism and Religious Education in Southeast Asia which kicked off yesterday dealt with the question “Why does religious education matter for preventing violent extremism?” The speakers who dealt with the subject were a Buddhist monk directing a monastic high school in Myanmar and a member of the advisory board of an Islamic university in Indonesia. Before directly answering the question of ‘why’, stating two hypotheses here is in order. First, religion can either be a bridge or a wall. Like a kitchen knife, it can be used to prepare a very delicious food and it can also be a tool to commit a heinous crime. 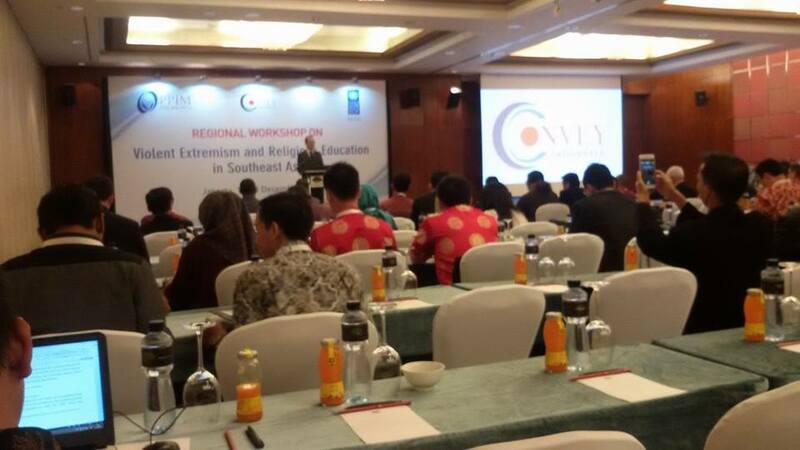 Second, in the context of violent extremism, religion can either be a driver or a diverter. 1. Some violent extremist groups use religious narratives and symbols. 2. Religion can be powerful enough to stimulate people to action, for good or bad. 3. Religious education provides political authority and moral ascendancy to any ‘messenger’ of any ‘message’. 4. A ‘messenger’ of violent extremism, as in many instances, may capitalize on this religious education-rooted political authority and moral ascendancy he/she acquires in addressing his/her audience. 5. Such a ‘messenger’ who capitalizes on religious education-rooted political authority and moral ascendancy can only be competently combated by an alternative and superior ‘messenger’ whose political authority or moral ascendancy also emanates from the same religious education. This I posted without stating the reason – that I was then about to enter a country wherein Facebook, Instagram, Google (Gmail, Play Store, etc.) and some other accounts cannot be accessed. In particular, I refer to the official invitation to participate in two academic events, viz. 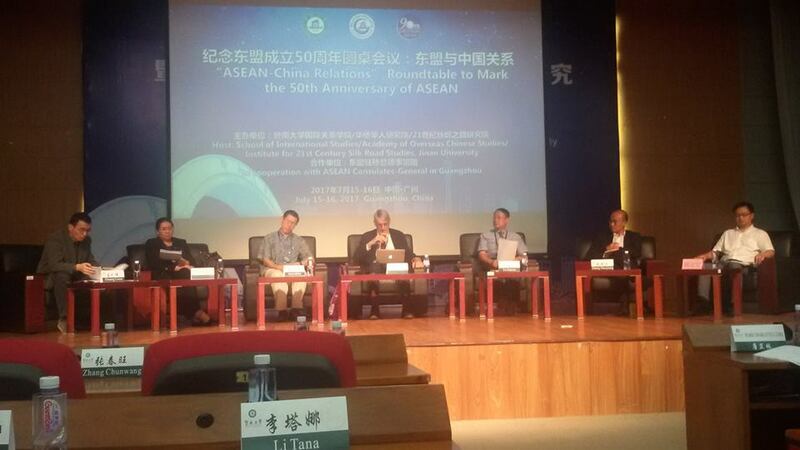 (1) a two-day International Conference and Ceremony to mark the 90th anniversary of Southeast Asian Studies and Overseas Chinese Studies at Jinan University and the 50th founding anniversary of the Association of Southeast Asian Nations (ASEAN), and (2) an eight-day Asia-China Peace and Leadership Workshop (Economic Development, Regional Cooperation, and Conflict Transformation) organized by Jinan University’s Institute for Peace and Conflict Studies. 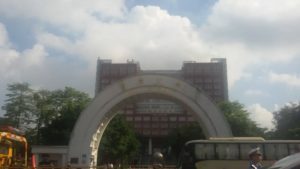 Both events were or are being held in Jinan University, which is one of the oldest universities established in mainland China tracing back to the Qing Dynasty (1644-1911). Mandated to spread Chinese learning and culture from North to South and from Chinese overseas, the university was the first in this country to recruit foreign students and is currently the Chinese university with the largest number of international students. 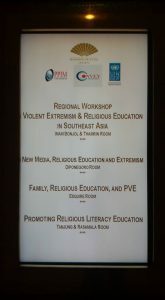 The conference panels such as “Current Studies on Southeast Asia,” “Studies on Vietnamese History,” “Studies on Myanmar Politics,” “Overseas Chinese Studies,” “Language and Translation,” “Studies on Other Southeast Asian Countries,” “Studies on Malaysian Politics,” “Ethnic Chinese Business Network and Overseas Chinese,” “International Relations in Southeast Asia,” and “Studies on Chinese Malaysians” are interspersed with a keynote speech, a forum on Overseas Chinese Research, giving of awards, and a roundtable on ASEAN-China Relations. 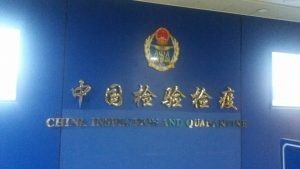 The keynote speech was given by Prof. Anthony Reid of the Australian National University while awards were given to best papers published in Jinan University’s Journal of Southeast Asian Studies and the Yao Nan Translation Prize. 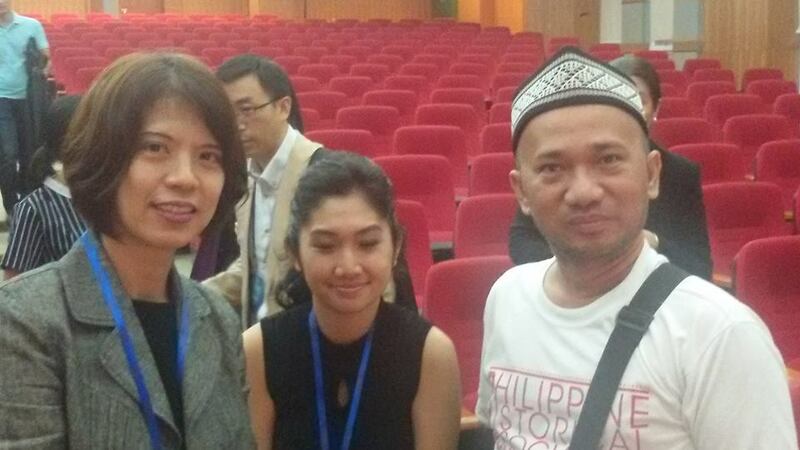 Apart from meeting presenters from the Philippines such as Prof. Rommel Banlaoi of the Philippine Institute for Peace, Violence and Terrorism Research, Prof. Aileen Baviera of the University of the Philippine Diliman, and two fellow workshop participants from Ateneo de Manila University and Dela Salle University, the most interesting for me was the roundtable on ASEAN-China Relations on the first day, being attended by the consul-generals of the Southeast Asian countries in China. The Philippines being the current Chairman of the ASEAN, the Filipino consul-general in China, Marie Charlotte G. Tang, delivered the Opening Address to the roundtable. In our personal conversation after the roundtable, it was equally fulfilling to realize that Ms. Tang was then my direct supervisor when I was undergoing practicum in the China Section, East Asian Division of the Department of Foreign Affairs in the summer of 1995. The roundtable discussants included Prof. Reid of Australia, Prof. Baviera of the Philippines, and four Chinese scholars headed by Zhang Zhenjiang, Dean of Jinan University’s School of International Studies and the Academy of Overseas Chinese Studies. For almost two hours, the roundtable discussion significantly centered around the ASEAN’s degree of success or failure, various obstacles to ASEAN integration, and current challenges and prospects of ASEAN-China relations. “Throughout this two hours Roundtable, I was expecting to hear – even a bit – about regional security from a non-conventional framework. By non-conventional framework, I refer to security threats not coming from a neighboring state or states, and a global or regional hegemon, but rather coming from transnational violent actors such as the ISIS. “As the ISIS is recently losing territorial ground in both Syria and Iraq, the possibility for this group to look for Southeast Asia whose Muslim population is more than those of Arab countries combined together is becoming more palpable. As we all know, a city in an ASEAN country – I’m referring to Marawi City in the Philippines’ southern island of Mindanao – has been captured by ISIS-linked groups, and the alleged reports of participation of some Indonesians and Malaysians in the siege must bring a toll of alarm to the region. This confession, I think, is worth contemplating now, considering the existence of Uyghur Muslim minority issues in China and the threat to the Chinese government as expressed in ISIS media outlets. MAKATI CITY (5 September) – In the wake of the deadly blast in Davao City, I had attended – though mentally disturbed and almost reluctantly – the UNESCO-Memory of the World (MOW) Documentary Heritage Awareness and Nomination Seminar which was organized by the Philippine National Commission for UNESCO, in partnership with the University of the Philippines Mindanao and the Center for New Cinema (CNC), on September 3, 2016 at the Lorenzo Hall, University of the Philippines Mindanao. As part of the nationwide awareness campaign as well as in response to UNESCO-MOW’s mandate to “increase awareness worldwide of the existence and significance of the documentary heritage and assist in its universal access and preservation,” similar seminars were also recently held in Quezon City and Baguio City. Reflecting on the significance of preserving documents, particularly those coming from Mindanao, Dr. Bernardita Churchill, President of the Philippine National Historical Society, chaired a panel that gave special focus on “Jawi Documents” in a bid to know their historical, cultural and scholarly significance. “Jawi” is an Arabic relative noun which literally means “that which pertains to Java (Indonesia).” As part of Islamic legacy to the region, Jawi script is an Arabic-based one adapted by Southeast Asian Muslims, including the Muslims in the Philippines. In Mindanao and Sulu, the script had been used predominantly by Muslim ethno-linguistic groups such as the Tausug, Maguindanaon, Maranao, Iranun, Sama’, Yakan, and Sangil for putting into writing their languages. Linguistically, Jawi manuscripts are of two types: Batang-a Arab (literally, ‘Arabic letter’) and Kirim. 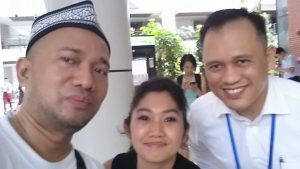 Batang-a Arab is the kind of Jawi that refers to the Arabic script used in any type of document, while Kirim refers to a written text of local dialect literature that uses the Arabic-based script. The Jawi was used to record both non-religious and religious literary materials. Non-religious literature includes epic, stories, short love poems, love fest, sayings, drama, puzzles and riddles, rhymes, and literature for children. Religious literature includes dekir/dhikr (incantations), khutbah (sermons), Qur’anic exegesis (tafsir), explicatory statements about Islam, du‘a (supplications), religious songs, and kisa (Islamic stories), among others. Among the most famous Islamic stories is Beraparangan Muhammad ‘Ali Hanafiyyah, which is a local rendition of a popular kisa known as Hikayat Muhammad al-Hanafiyyah to Muslims in many parts of Southeast Asia. Found in different versions in the region, it is a narration of martyrdom of Amir Husayn, the second grandson of Prophet Muhammad, thereby depicting it as an epitome of Muslim chivalry. Since the Philippine independence after the Second World War, there had been a decrease in the use of Jawi script due to the upsurge in the nationwide promotion and use of the English language in the formal educational system. This has been exacerbated further since the 1970s due to increase in the influence of strict interpretation of Islam that denounces many local Muslim beliefs and practices, and brought by local Muslim graduates from Middle Eastern universities. No doubt, the coming of this new set of Muslim scholars has created tension between their tendency to homogenize the interpretation and practice of Islam, and the local Muslim populace’s inclination to cling to the indigenous practices of Islam. 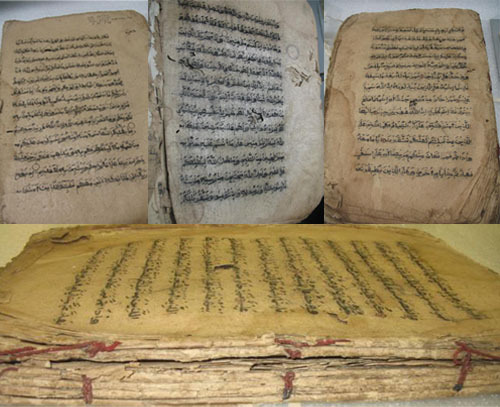 No doubt, the preservation and promotion of Jawi script and documents can contribute to shaping national Muslim narrative in three fundamental ways: (1) a culturally integrative understanding of Islamic principles, (2) tolerance of diverse Muslim practices, and (3) emulation of chivalry in dealing with perceived enemies – something which is quite remote from terrorist acts associated with current radical groups in the country.